A scent prescribed for universal urban dwellers. A new label of scents has been introduced by “Apotheke Fragrance”, a brand launched by an atelier-studied craftsman and selected by shops all over the world. 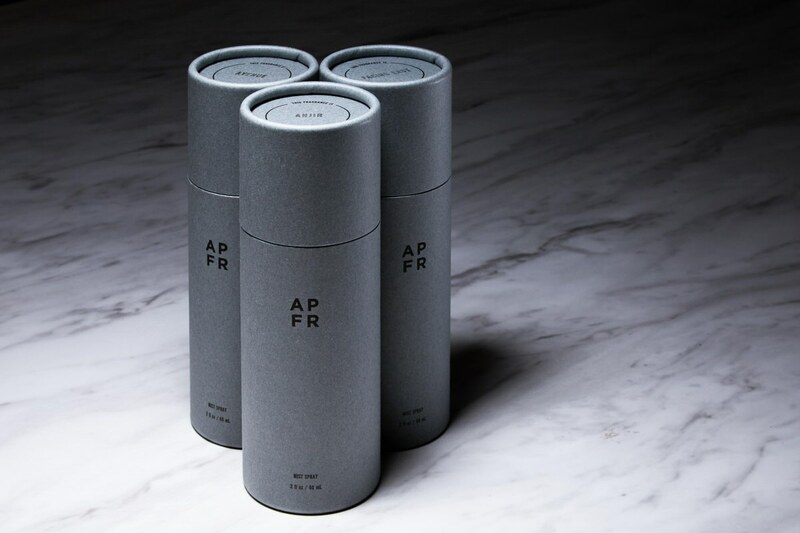 Three unique fragrances conceived specially for universal urban dwellers are available in the “APFR” line. The military-supply-like package design, rare for a fragrance brand, is the distinguishing feature of the label. Holding the name of “Apotheke”, meaning “pharmacy” in German, we have a wealth of prescriptions with a variety of incenses in the main line. In contrast, the fragrances in “APFR” are carefully selected and provide earthy pleasures to “urban dwellers.” The package is lead-colored, which reflects the brand director’s love for military supply designs, offering a universal and fearless impression. “APFR” was originally designed as a line for men, “for him”, but the incense is blended as a unisex scent to be enjoyed by women as well. It also will be a perfect holiday gift as a simple daily necessity. A scent prescribed for universal urban dwellers.